It has been a long time coming for Tiger Woods. After suffering through many years of scandals and career threatening injuries, Tiger Woods is back on top of the golf world. Tiger captured his fifth Masters championship today in Augusta, Georgia. 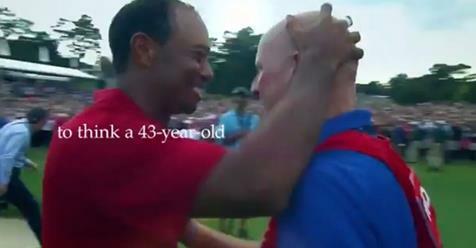 Nike dropped this heartwarming ad immediately after Woods put on the green jacket, a long 3,954 days since he last won. Copyright © 2019 The Sports Dumpster. All rights reserved.